Who does this? 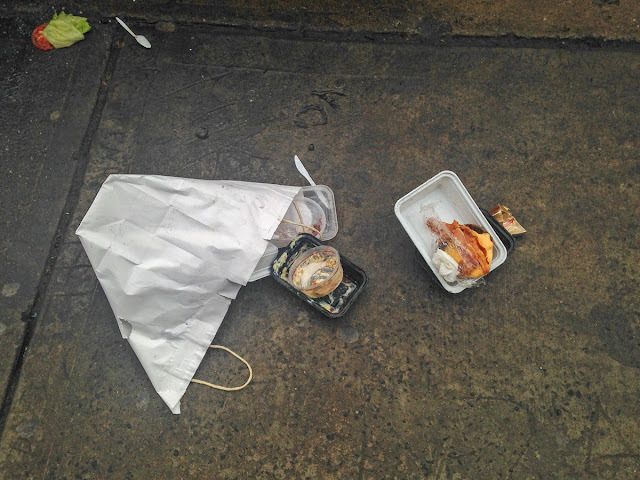 Who buys a bacon cheeseburger with side salads, eats the salads, then throws the bacon cheeseburger on the ground? Someone who lives on East 6th Street, that who! 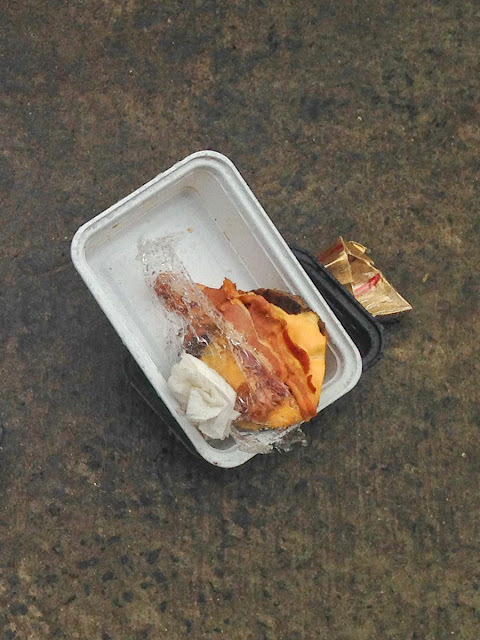 Unless it's a vegan bacon cheeseburger, in which case, why not throw it on the ground?